15 April, 2019IndustriALL Global Union condemns the violation of fundamental labour rights at Belaruskali, Belarusian potash fertilizer company, faced by members of Belarusian Independent Trade Union, an affiliate of the IndustriALL Global Union. “We are outraged with the reports about the anti-union policies and practices engaged by the management of Belaruskali, which have resulted in the forced withdrawal of quite a number of members from BITU, including workers from Remmontazhstroy and Kaliyspetstrans. As recently as the beginning of 2019, IndustriALL reported the good news that for the first time since the submission of a complaint to the International Labour Organization (ILO) in 2000 on violations of trade union rights, Belarusian authorities had registered an independent local union at Remmontazhstroy, a Belaruskali subsidiary. 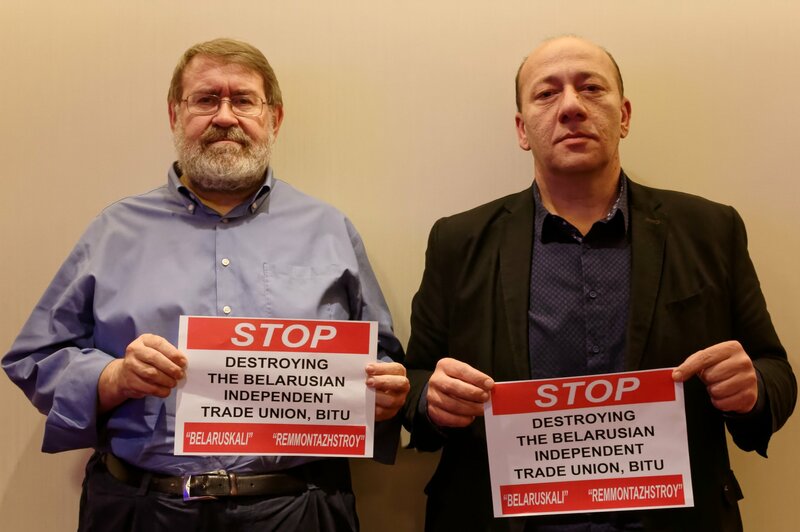 Trade unions inside and outside Belarus pose in solidarity with the Bealrusian Independent Trade Union BITU. However soon after the registration, workers faced the administration’s retaliation for the registration of their independent union. Immediately after the registration of the local union of BITU at Remmontazhstroy there was an attempt to register another BITU local at a similar subsidiary, Kaliyspetstrans. However, before the union members attempted to apply for state registration, Kaliyspectrans management forced them to resign from their independent trade union. Reportedly, the repression is taking place with the involvement of another affiliate of IndustriALL, Belkhimprosoyuz, also operating at the same company. IndustriALL is carrying out an internal investigation and will make take further statutory steps accordingly.